Maltesers GIANT chocolate slab & a box of Reeses Pieces – I specifically asked for the Reeses (you may be noticing a pattern here with all my swaps…) and Becky included the gigantic slab of Maltesers and said that it is her favourite chocolate. Well, I have had it before and it is definitely one of my favourites and I didn’t even think to ask her to send it, so that was a yummy coincidence. Make-Up Academy Undress Your Skin Shimmer Highlighters in Pink Shimmer and Iridescent Gold – I featured both of these in my May Favourites post on Monday and I am still so in love with them. I also requested both of these as they seem to be a holy grail drugstore item in the UK. Make-Up Academy Power Pout in Crazy In Love is a chunky lip crayon apparently similar to the Revlon Colourburst balms. I asked for this because I saw some gorgeous swatches. Make-Up Academy Matte Lipstick in Wild Berry I am so excited to try because I have heard they are incredibly pigmented but I have also heard that they can be a bit drying so I am interested to give my own opinion on it. I chose it in the most obvious colour… deep wine purple! Make-Up Academy Lip Switch Matte Shine Duo in Persian Plum is a double ended lipstick and gloss in an amazing colour. I am all about purples. 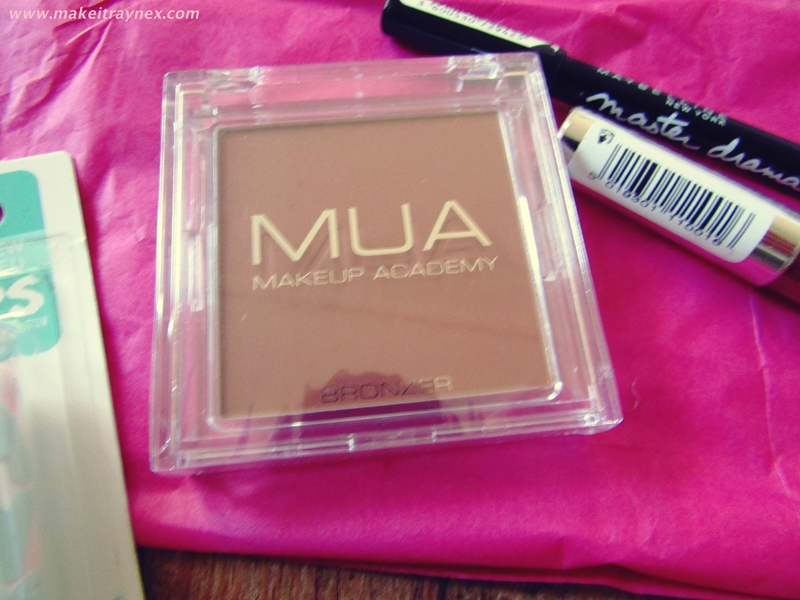 Mattes are definitely going to be huge this Autumn/Winter so I rate I will be wearing this a lot. Make-Up Academy Lip Liner in Brooding Plum – I have been looking for some matching liners to go with my never-ending collection of dark lipsticks so I asked Becky to send me this one, and she very kindly did, but it is so different to the swatch online and the name. It’s more of a cherry red than a deep plum. I will definitely still use it, just not in the way that I had planned for. 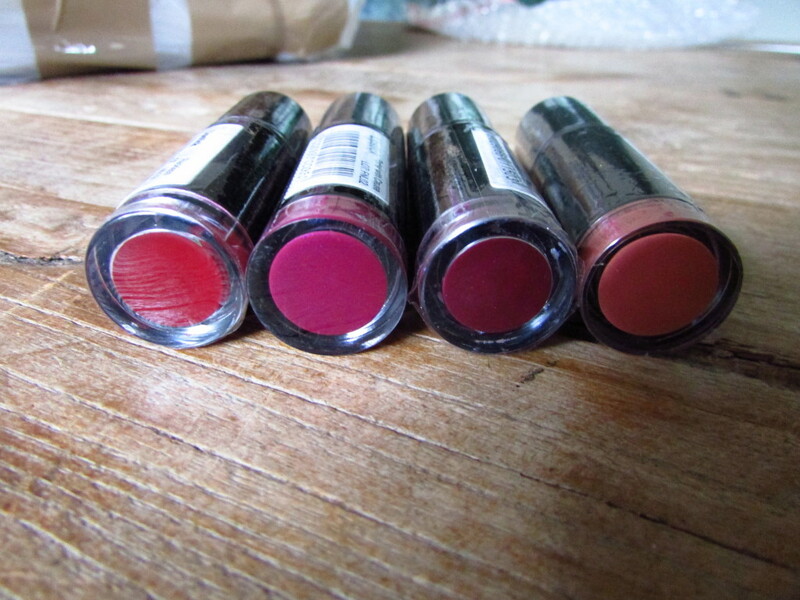 Make-Up Academy Lipstick in 1, 2, 3, 13 and Raven – These past two weeks that I have been receiving my swaps has left me with an, honestly, insane amount of lipsticks! I think I have racked up 30 new ones. Whoops. My baaad. I am loving the look of these ones and yes, I did order one in Raven (AKA pitch black) and no, I do not know what I was thinking. Halloween 2015, maybe? Major blog post review coming on these soon. Make-Up Revolution Pro Fix Make-Up Fixing Spray – This setting spray was also an item that I had requested but I completely forgot about it. The night before receiving my package I was chatting to my friend Melissa from Pretty Messy Mellon and she was telling me she ordered it online and I was so bleak that I had “forgotten” to ask for it! So when I opened this I was seriously excited! I have already used this and it works like a dream. Make-Up Revolution I Heart Make-Up Lip Geek Lipsticks in Totally NOT Boring, Dare to Be Different and Cherry Bomb – These little things are absolutely delightful! I did not take a pic of them outside of the packaging as I will be doing a full review on these and I wanted the unveiling to be a surprise 😉 I also requested all three of these colours. Make-Up Revolution Atomic Lipsticks in Make Me Tonight, Rebel With a Cause, Fusion, Reckless, Treat – More lipsticks. Again. What can I say? 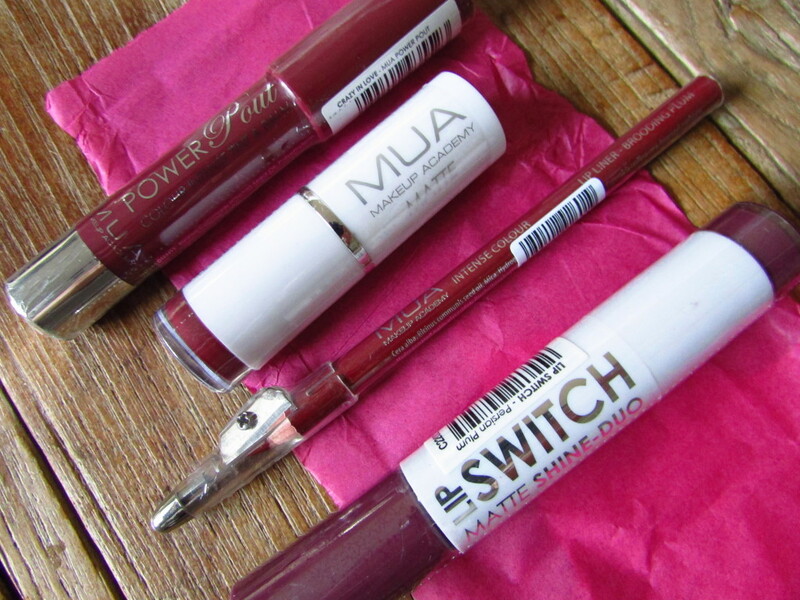 These all look like gorgeous Autumn shades and I am so keen to test them out. You may recognize three of these from my Scotland swap but I was SO extremely impressed with the colours that I needed to get some backups! 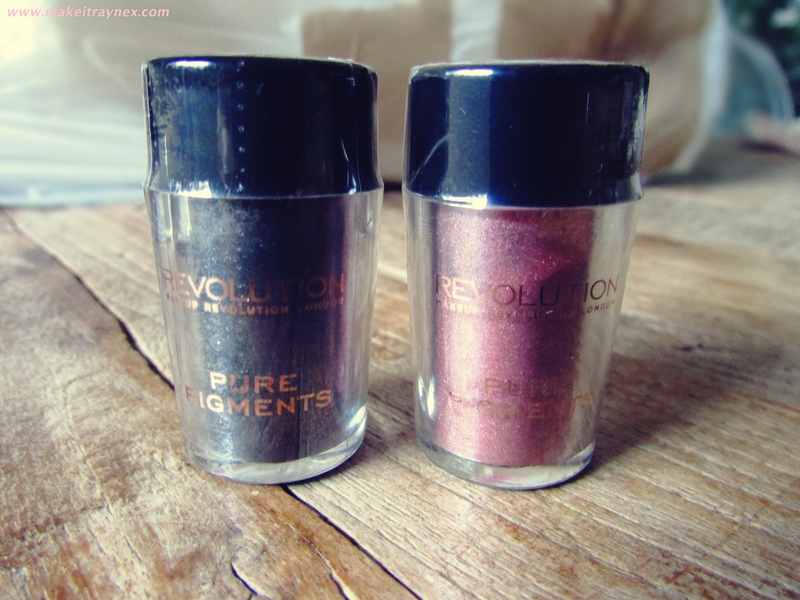 Make-Up Revolution Eye Dusts in Antic and Confront – I have seen these reviewed many times by UK bloggers and the response towards them is always super positive. I have heard you have to use them with a base/primer but aside from that they look incredible. These are going to be so fun to play with! Make-Up Revolution Mono Eyeshadow in Insomnia, I won’t be alone and Smokin’ 2 – Another item which I have seen raved about! 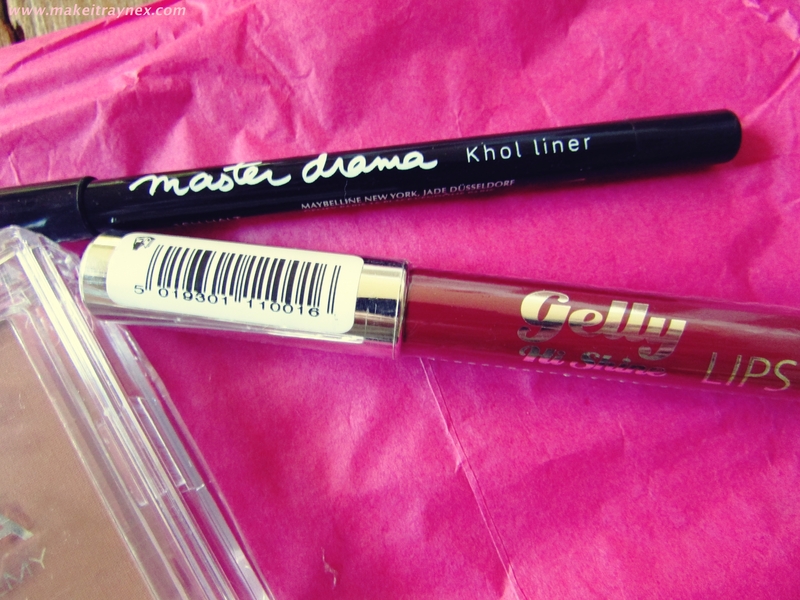 Maybelline Master Drama Kohl Liner and Barry M Gelly Lips in Hi Shine – Becky included both of these as extras and I have seriously been SO impressed with the Maybelline kohl liner that I even included it in my May Favourites. I have used it almost every single day since I opened it and I can’t believe that I had no idea it was available in South Africa. 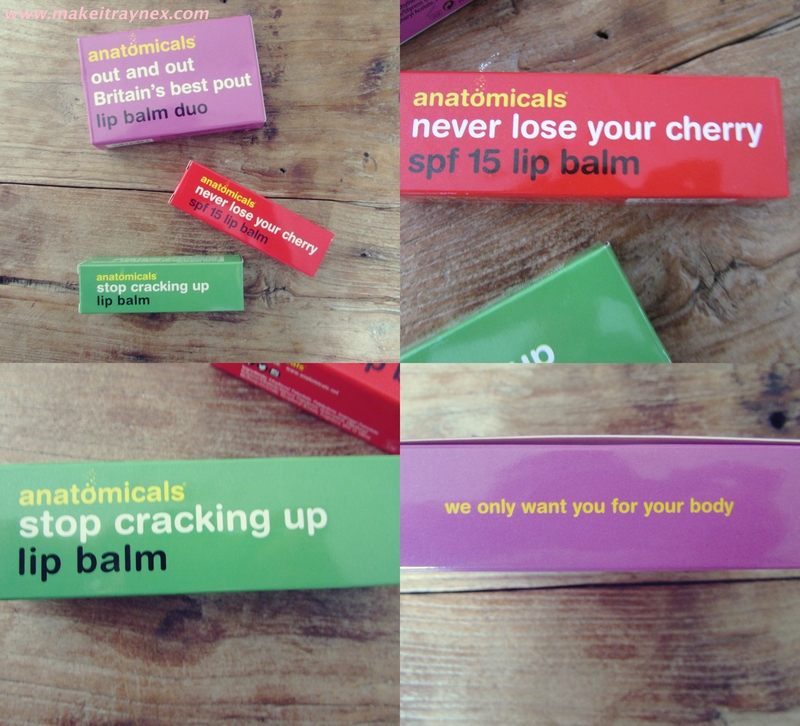 Anatomicals Face Mask pack & Anatomicals Lip Balm Duo – I absolutely had to take more than a few photos of the boxes and packaging for these items. The Lip Balm duo ‘Out and Out Britain’s Best Pout’ consists of two balms called ‘Never Lose Your Cherry’ and ‘Stop Cracking Up’. Hysterical. Then the face masks are called ‘Look, You’ve Got Chocolate All Over Your Face’, ‘Grease Isn’t The Word (Tell Me More, Tell Me More)’ and ‘Farewell The Scarlet Pimplehell’. The pack consists of an anti-stress mask, a mattifying face mask and a deep cleansing mud mask. Also, their slogan ‘We Only Want You For Your Body’ is brilliant, no? Maybelline Babylips Dr. Repair in Menthol – This range of Babylips was just released here in South Africa last month and I had not yet tried them so I was very excited to get to using this. I am such a fan of the original Babylips and as we are going into Winter the Dr. Repair range could not have been sent at a better time, and she chose the perfect flavour for me. It is super nourishing and hydrating and exactly as you would expect. 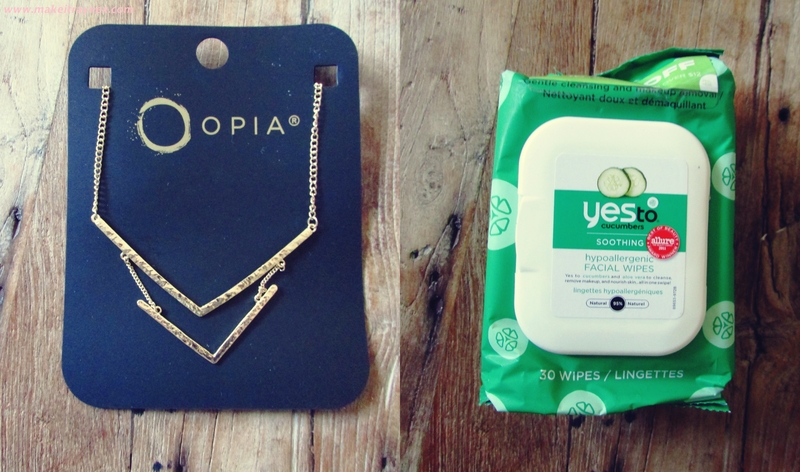 Opia necklace and Yes To Cucumbers Soothing Hypoallergenic facial wipes – This necklace is totally my scene and I actually wore it to a Calvin Klein event that I attended a few days later. I am also LOVING these facial wipes. The cucumber leaves your face feeling so refreshed and clean whether you have just cleaned your face after a shower or removed an entire day’s worth of make-up. What did you think of my latest swap? As with all my other swaps, there are waaaaay too many items to swatch and review in one post so I will be reviewing everything separately. 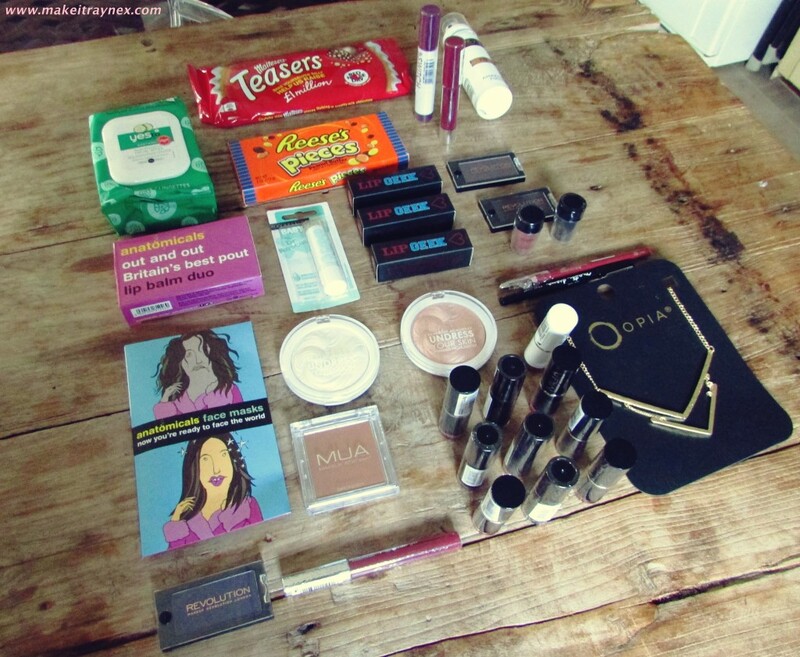 But if you would like to see swatches of anything in particular please leave me a comment and I’ll get onto it asap! Remember to keep your eyes peeled – as I mentioned in my last post, I will be hosting an International Beauty Swap giveaway very soon! To view what I bought Becky, click here. To view Becky’s post on our swap, click here. Jealous!! I am now needing to see your make up collection!! !